The University's foundation stone was laid by King George V on 19 July 1920 and 89 students (including eight female students) enrolled that same year.By September 1939, there were 65 staff and 485 students. Work began on the student village at Hendrefoelan in 1971, the South Wales Miners' Library was established in 1973 and the Taliesin Arts Centre opened on campus in 1984. 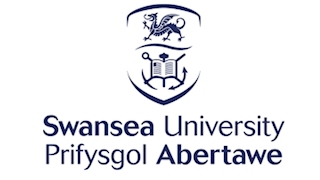 The Regional Schools of Nursing transferred to Swansea in 1992, and the College of Medicine opened in 2001. Technium Digital was completed in 2005 and, barely two years later, the University opened its Institute of Life Science, which commercialises the results of research undertaken in the College of Medicine. Work commenced on a second Institute of Life Science in 2009.